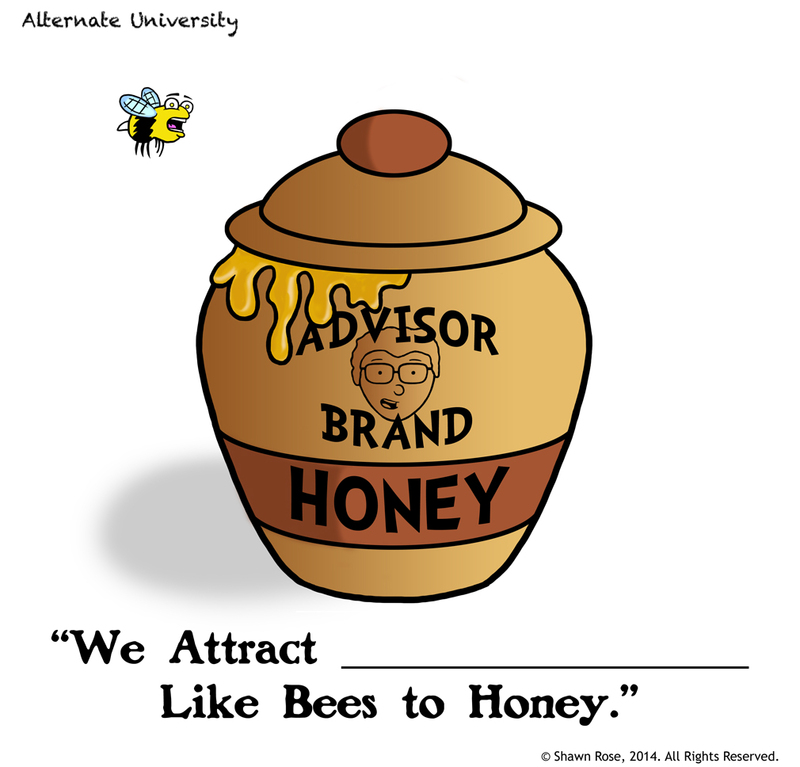 As advisors we have some strange things happen to us, and sometimes it feels like we’re a magnet for drama. I’ll admit… I have something that goes in the blank. While it’s hilarious in my mind, sometimes it’s better to filter yourself. Sooooo, let’s have some fun with this. Submit what you’d like to see fill in that blank. Leave a comment here, send me a tweet (@shawnrose), or whatever. I’ll pick my favorite response and update the comic (possibly adding some little details to the drawing if it’s warranted). Let’s see what you’ve got! “Toothless meth heads” changing this to tv brand honey.